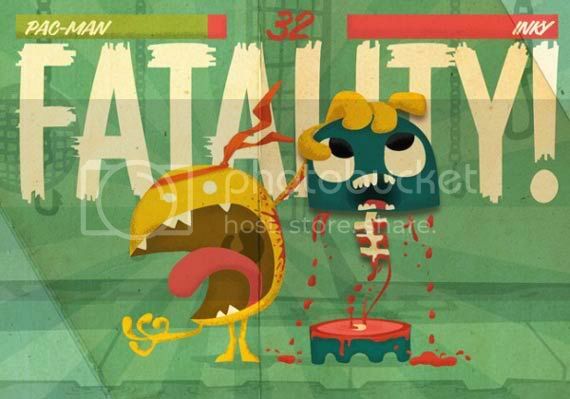 Pac-Man Mortal Kombat Fatality - What's In A Power Pellet? Those big Power Pellets should have some kind of warning label attached or printed on 'em. Pac-Man's gone out of his mind and just rips anything Mortal Kombat style he can get his hands on every time he gulps down one big Power Pellet! Poor Inky's going to be food in a couple of moments, I just know it. I'd hate to see what Pac-Man's got planned for the other ghosts.